After being out of work for two years, Belinda reached out to WISE Employment Gawler in March 2015. Belinda, who lives with Crohn’s Disease, depression and anxiety, was forced to resign from her previous role. After being out of the workforce for a period of time, she started to lack the confidence and fight to secure something new and exciting. WISE Employment worked closely with Belinda to reignite the spark and build her self-esteem and confidence. Not long after, Belinda secured a position as a Food and Beverage Attendant at the Novotel Barossa Valley Resort. “I’ve been here three years now and I love it, I wouldn’t change it for the world. It gives me a reason to get up in the morning. They say the world is your oyster, and that’s exactly how I feel at the moment,” explained Belinda. 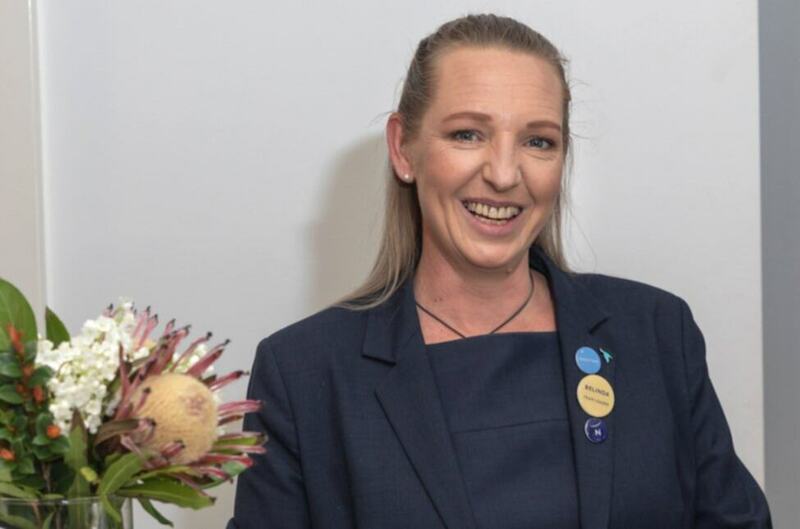 Within just weeks of coaching and instilling belief in Belinda, she quickly became part of the Novotel team, “She’s an extremely hard worker, very positive and determined,” said Belinda’s Manager, Lil. Within her first year of employment, Belinda was Employee of the Month and towards the end of 2016, she was nominated for Employee of the Year, to which she received runner up. Belinda continued to prove to be an invaluable employee. In 2017, Novotel encouraged employees to apply for the Graduate Management Trainee program. WISE Employment assisted Belinda in her application and she was one of two people to be successful in securing a spot. “We’re very proud of Belinda, she’s worked very hard and gone from a casual Food and Beverage Attendant to a Resort Leader. She’s a great attribute to the team,” continued Lil. Belinda highlighted how supportive and encouraging WISE Employment was in preparing her for the workforce again. “WISE gave me confidence to go ahead and do it. My support worker, Rebecca, was great. She pointed me in the right direction, guided me and gave me someone to confide in. More confident and independent than ever, Belinda is ready to keep climbing, highlighting that she won’t be slowing down anytime soon.